Clear skies. Low 61F. Winds light and variable..
Clear skies. Low 61F. Winds light and variable. Doug Protzmann passed away quietly at 12:30 am Wednesday, April 3, 2019 from complications of his Lewy Body Dementia after hip surgery on December 2, 2018. He is now at peace with the Lord. Doug was born in Milwaukee, Wisconsin on September 22 1945 to Bill and Dorothy Protzmann. His family moved to the Los Angeles area, settling in Norwalk in 1952. He grew up there and attended Santa Fe High and graduated in 1963. He started working at Coast Industrial Supply with his dad junior year part- time and continued after high school. He later worked at Bender Machine where he became an excellent machinist. While in high school he met, Sharon, who quickly became his high school sweetheart. They had their first date Thanksgiving evening 1962. And the rest is history. They attended the Christmas formal, Sadie Hawkins, the prom. He also accompanied her to all the Rose parade activities which included a ball, the parade and the Rose Bowl game January 1, 1963. They fell in love, became engaged December 1963 and were married July 11, 1964. They began water skiing in high school and did a lot of camping and boating from then on with friends and family. They bought their first boat in 1966. In the late 60's they discovered the Kings River. And spent many weekends and vacations at Royal Oak. Every time they would drive through Kingsburg they would say – wouldn't this be a great place to live. So, in April 1974 Doug applied for a machinist job at SunMaid. The day he got home from the interview they called and gave him 2 weeks to get moved to Kingsburg. He was a machinist and later became lead man machinist, then Machine Shop Supervisor. During that time he and a co-worker invented a Split Bearing Eccentric Drive for which he received a patent on August 27, 1991. He retired from SunMaid December 2007 at age 62 after almost 34 years. When moving here in 1974 Doug and Sharon had only one child, Greg-18 mos old. They went on to have 4 more children - Jason, Christine, Tom and Kevin. He loved his family. Sharon and his children were always most important to him. They had a lot of fun family times. Later they adopted a high school friend of Jasons - Paul Valdivia. He came to live with them and became like a son from that time on. In 1974 he joined the Kingsburg Gun Club where the family spent many afternoons after work and on weekends boating and skiing. The kids kind of grew up there. He worked every year at the State Shoot and was Treasurer at one time. He remained a member. Doug loved sports - especially baseball. He began coaching immediately in 1974, taking the Model Drug expansion team. He continued coaching into the 2000's, He also took over the baseball program when the high school dropped the program. He began pursuing his dream to have an actual Little League field in Kingsburg in 1975. He formed KYBA and started working to acquire the land form the school district. There were many legal complications to work through. After that he went to work soliciting donations from Kingsburg area citizens and got enough to break ground.. He found volunteers with various skills and expertise to plan and build the field and many friends to help with leveling, concrete, lights and planting. In later years his dad took care of the field after his retirement. It finally opened in 1977. He continued to run KYBA and coach for many years. Then went on to coach 7th grade baseball at Roosevelt Junior High and then to coach Varsity with Jerry Rosser. He loved the kids and was a great coach and role model. He touched many lives all these coaching years. After retirement he and Sharon started taking ballroom dance lessons and made many new friends. They joined the Los Amigos Ballroom dance club. They loved it and the friends they made. As Doug's disease progressed they reluctantly had to give it up in 2018. He and Sharon and the kids had a wonderful life. He will be terribly missed. It definitely left a huge hole in their lives. He is survived by his wife, Sharon, his 6 children: Greg and his partner, Andrew; Jason and wife, Karen; Christine and husband, Michael Hovnanian, Tom and wife, Jillian. ; Paul Valdivia and his wife, Leticia. He also leaves his 7 wonderful grandchildren whom he loved dearly. Anika and Dolyn Protzmann, Aidan and Nadia Hovnanian, Piper, Oliver and Eli Protzmann. He also leaves behind his 3 sisters, Diane Bartlett, Kay Hall and Bonnie DeLap. The family wants to especially thank everyone who has prayed, sent messages, visited Doug and Sharon, brought food, sent cards. It has been such a blessing. They also thank Dr. Perez who was great with Doug and the people at Genesis who took such good care of him. Services are being handled by Creighton Memorial Chapel in Kingsburg. Viewing is from 3-6 pm Thursday, April 11th and funeral Friday, April 12th at 10:00 a.m. at Holy Family Catholic Church. Memorial donations may be made to Rock Steady Boxing Central Cal, 1827 Goshen Ave, Clovis Ca 93611, or to the Kingsburg Youth Baseball Association. 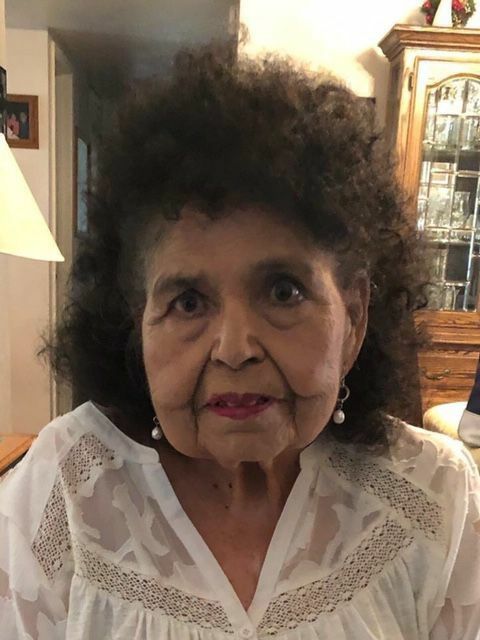 Dora Puente, age 86, passed away peacefully at home on April 5, 2019 with her family by her side. She was born in San Fernando, CA and lived in Hanford for over 66 years. Dora is survived by her husband of 66 years, Simon B. Puente; her sons David Puente and Simon Puente, Jr. and her daughters Pauline Puente, Mollie Ortega, Janie Duarte, Esther Lupercio, Helen Reyes and Vivian Ayala. She also leaves her beloved 23 grandchildren, 57 great grandchildren and 7 great-great grandchildren. Relatives and friends are invited to attend visitation on Thursday, April 11, 2019 from 8:30am -9:30am at Immaculate Heart of Mary Catholic Church in Hanford. Rosary will begin at 9:30 am and mass will follow at 10:00 am also at the church. Burial will take place at Kings River Cemetery, Dover Ave, Hanford. Arrangements under the direction of Whitehurst McNamara Funeral Home, Hanford. Longtime Hanford resident Cecil G. Valle Sr. passed away from Parkinson's disease complications. Born in Corcoran, California, his family moved to Hanford in 1941. Cecil attended local schools, Lincoln Elementary, Woodrow Willison Jr. High School and Hanford High School, Class of 1956. Cecil worked for Ying's Market in his early years before joining Safeway Grocery Stores. In 1969, he began working with The Southern California Gas Company. Over the next thirty years with his gas company family, many friendships were formed. Beginning as a Crew Assistant, then a Field Mechanic Welder, and then as a Crew Leader. He worked as a Heavy Equipment Operator until his retirement in late 1999. He was preceded in death by his first wife Angie and two granddaughter, Kori Emer and Celena Valle, his father and mother, Narciso Valle and Ruth Godina Valle Garcia, step-father Steven Garcia, baby brother Daniel Valle, brother Martin Valle, sister Mary Valle Navarette, and most recently, his sister Virgina Valle Lopez. Cecil is survived by his loving wife Mary, daughter Gloria Emer, sons Cecil Jr. and Joseph, sisters Inez Cruz, Lucy Garcia and Linda Morales, Brother Steve (Mickey) Garcia, granddaughters Gina, Heather, Kendra Ashely, Jesses, Eden, Angelena, Joann, Erin and Katherine. Grandson C.J., as well as many nieces, nephews, and great grandchildren. Cecil's remaining family are truly blessed with the happiness and memories he added to their lives. Parkinson's disease took a devasting toll on Cecil's body, but his mind, sense of humor, loving kindness and love for his family never wavered from his heart. Louise, age 78, passed away peacefully and surrounded by family on March 22, 2019, in Cupertino, California. Louise was born in Hanford to Antoinette (Etta) Fea Giacomazzi and Steve Giacomazzi. She attended Delta View Elementary School and graduated from Hanford High School in 1958. Louise received a nursing degree from the University of San Francisco and worked as a registered nurse in northern California. Louise was the wife of Jerrold (Jerry) Knight Keating whom she married on December 22, 1962, and mother of Jeff (Menlo Park), Cyril (Falls Church, VA), and Brigid (San Jose). Louise lived a joyful life. She was kind, intelligent and an impassioned conversationalist. She will be remembered for her devoted commitment to her family and friends as well as for her talent as an accomplished calligrapher who shared her artistry with many family and friends. Louise is survived by her husband, Jerry, children, Jeff, Cyril and Brigid, and grand children, Antoinette, Henry, Kendra, Zoe, Jude and Madison and also brothers, Glenn and Walter. Give Her Eternal Life O Lord and May Your Light Shine On Her Forever.